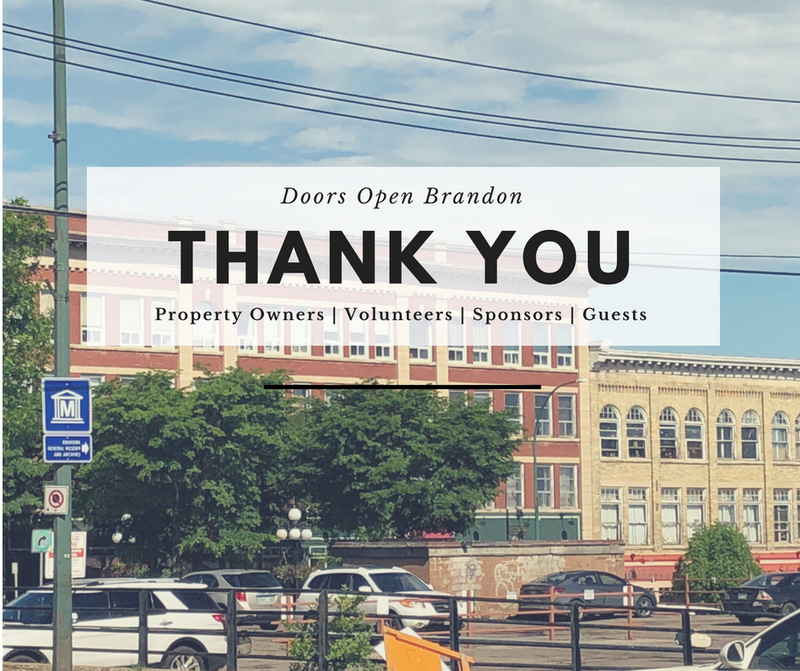 Thank you to everyone who supported Doors Open Brandon 2018. We had another successful year! We would like to thank all property owners, volunteers, sponsors, and of course our fabulous guests! See you all next year!